Insider announced the launch of its Growth Management Platform (GMP), which raised a US$11 million Series B investment. Primarily, GMP helps marketers create more intelligent interactions with their customers through exposing them to the most relevant content on their preferred channels, delivering fuss-free experiences. The platform offers digital marketers a full suite of features across the entire growth funnel, from Acquisition to Activation, Retention and Revenue. 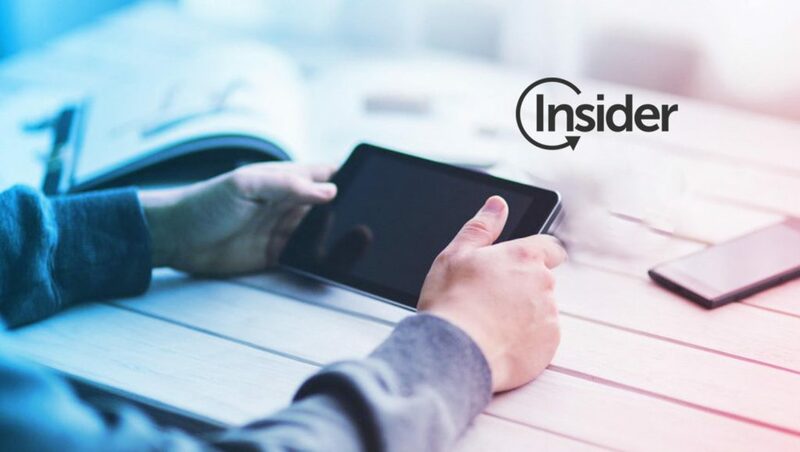 Powered by deep AI and Machine Learning capabilities, the Insider platform delivers real-time insights and personalization across the web, mobile web, mobile app and ad channels. The main cost for startups, or any company going digital, used to be infrastructure and talent; today it’s a race for growth and customer acquisition costs are now the make or break item on the P&L. Brands are pouring an increasing proportion of their marketing budget into digital channels in a bid to reach consumers in today’s fragmented media landscape. Yet too many marketing dollars are spent on the wrong customers: those that don’t convert, spend, and come back. Complex and costly marketing clouds are not a viable option for many companies. The alternative is using a range of different point-solutions to drive growth, but this creates fresh headaches for organizations that must then deal with managing multiple vendors, integrating solutions, and standardizing data sets. Insider has set out to solve this challenge. Built on a unified data layer, Insider’s Growth Management Platform is easy to implement and use, avoiding the need for complex integrations. The platform is based on the latest technologies based on knowledge activation and neural network-based models making technology almost invisible to users. The company democratizes AI and Machine Learning algorithms to help digital marketers across industries focus on the right segments to minimize marketing costs and offer a better brand experience that ensures growth over time. “Customers are demanding more personal, meaningful and smoother experiences, no matter what channel they are on. Delivering a personalized experience to each and every customer at scale increasingly requires robust AI and machine learning technologies,” said Hande Cilingir, CEO & Co-founder of Insider. “That’s why we have built the first integrated Growth Management Platform, which gives digital marketers a holistic end-to-end capability across the entire growth funnel, from customer Acquisition to Activation, Retention and Revenue. Our aim is to make it easier for digital marketers to take a leading role in driving revenue, growth and loyalty in their organizations. Above all, our mission is to help brands deliver relevant and delightful experiences that are mindful of their customers’ attention and time.” she added. The launch of Insider’s Growth Management Platform has been backed by a US$11 million investment led by Sequoia India, which has partnered with some of the fastest-growing startups across India and Southeast Asia, including Tokopedia, Go Jek, Carousell, Byju’s and Zomato. Existing investors Wamda Capital and Dogan Group also participated in the round.